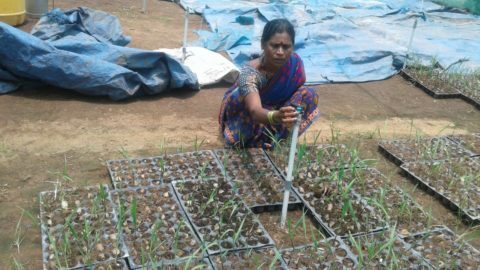 The sugar cane bud nursery in Mundwad is the first step towards setting up agro- allied livelihood groups in Haliyal. 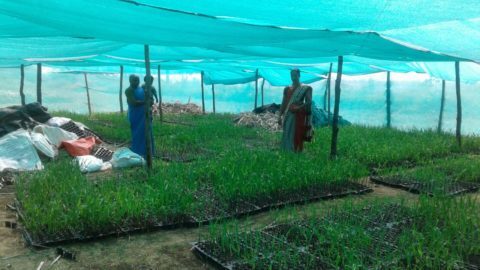 Haliyal being part of sugarcane cultivation belt, offers bright opportunity to women to earn regular income from growing and selling sugarcane buds. 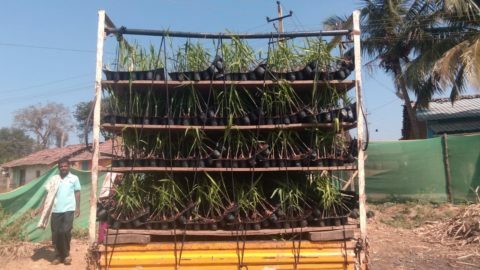 This entrepreneurship was developed in partnership with EID Parry Ltd. which is a major sugarcane industrial house in Haliyal. 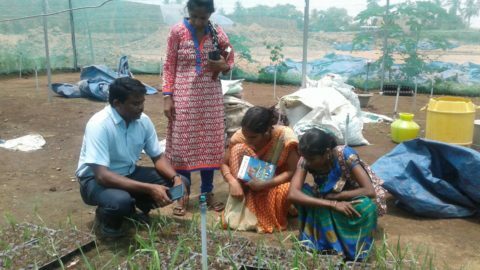 The idea became a reality when three women from Mundwad came forward to take training in sugar cane bud cultivation from the training center run by EID Parry at Nellikkuppam in Tamil Nadu. 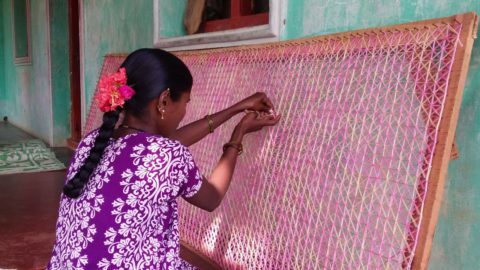 The first group was formed by five women from Haliyal. They are supported with training, seed funding and expert advice from CherYsh and EID Parry. 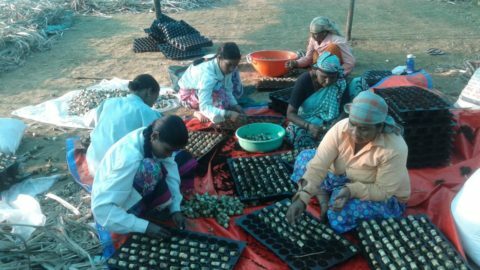 The business is progressing successfully as the group has started selling the saplings at a profit. More such opportunities are being explored in the villages of Haliyal.